New York, NY (November 14, 2018) – Arecont Vision Costar, the industry leader in IP-based megapixel camera technology and video surveillance solutions, announces that the Total Video Solution™ has just received an important industry award during the first day of ISC East, here in New York City. The ASTORS Homeland Security Award was presented at a banquet event and ceremony hosted by American Security Today, held in the Jacob K. Javits Convention Center. Arecont Vision Costar is exhibiting at ISC East in booth #569, November 14 and 15, 2018. Arecont Vision megapixel cameras are installed throughout the convention center. Announced in the first half of 2018, the Total Video Solution delivers the key components required for a modern video surveillance system from a single, proven video surveillance manufacturer. The solution includes Arecont Vision Costar’s proven, Made in USA, MegaIP™ single-, dual-, and multi-sensor megapixel cameras that help ensure maximum cybersecurity. Also included are the new world-class ConteraIP™ megapixel camera series with choice single- and multi-sensor models that offer industry-standard capabilities and powerful additional features. To complete the new solution, Arecont Vision Costar also added advanced video management software with the ConteraVMS™ and the ConteraCMR™ family of four cloud-managed video recorders. ConteraWS™ web services completes the offering, bringing a range of cloud-enabled benefits to both end user customers and to systems integrators and security dealers. When deployed as a total solution, the customer merges the reliability of local recording with video distribution, viewing, and administration over the cloud in a cost-effective and highly cyber-secure manner. Customers may select a complete solution from Arecont Vision Costar, or integrate their choice of components with existing cameras, VMS or NVR systems, and infrastructure via ONVIF compliance. The MegaLab™ test facility has also been used by dozens of other industry leading vendors to go beyond ONVIF standards, ensuring the best possible integration with Arecont Vision Costar products. 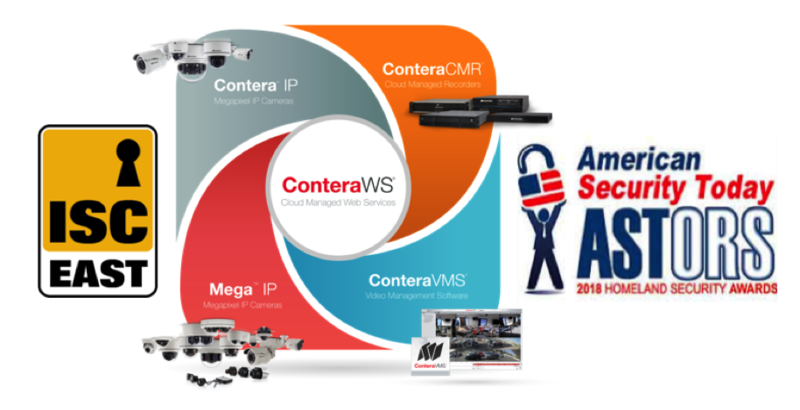 Learn more about the award-winning Arecont Vision Costar Total Video Solution here – https://tinyurl.com/ya4sqs3w. To see examples of Arecont Vision megapixel cameras that are installed throughout the Javits Convention Center, visit the Where in the World Have YOU Seen AV media library online at https://media.arecontvision.com/.